Adopt a Dog in meath | Rehome a Puppy| Free Dogs for Adoption to Good Home | Can you Take this Dog into your Home? 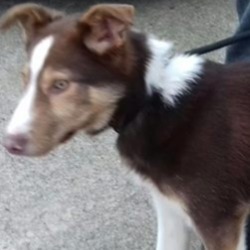 Meath Dog Shelter 18 mins · Whiskey Ref 5 Surrendered through no fault of his. 6 month Male Kelpie Cross. Will need a home which will fill his active mind and personality. Very friendly. Good with dogs. Other information unknown.